Arlington Mill Residences stands as one example of how the Arlington County Capital Improvement Plan and the Affordable Housing Master Plan work in conjunction to solve both long and short term goals. Arlington Mill is an Arlington Partnership for Affordable Housing development built in coordination with an Arlington County community center, underground parking, green space, and access to parks. By using public land and co-locating parking, the ability to share costs meant more than $9 million dollars in project savings. More importantly, the state-of-the-art community center allows for multi-generational use for area residents. The Bonifant at Silver Spring is a mixed-use, mixed-income senior living building that co-shares space with retail, grocery, and a public Library. 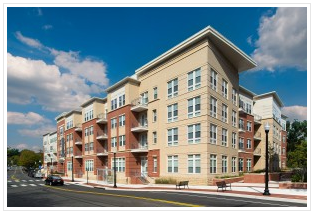 The development was created through a collaboration between a private developer, a nonprofit, and Montgomery County to provide access to transportation, retail, grocery, and other community assets for senior citizens allowing them to age in place. What makes Alexandria's Station at Potomac Yard unique is the use of public land and mixed-use development that includes a fire station, retail, affordable housing, and workforce housing making it a model for cities across the nation. The design emphasis was on walkability, accessibility, and a beautiful green space to promote interaction among neighbors. What these examples have in common is the reaching across sectors to produce solutions that meet multiple public goals at once in communities where land is scarce. These developments provide affordable housing with access to jobs, grocery stores, parks, community spaces, and other community assets, all in a walkable, mixed-use environment. The ability to maximize the benefits of public land for affordable housing is not without challenges. It can be difficult to convey project ideas to citizens, and then to get through the bevy of zoning and planning rules that are often different between each type of structure. In Arlington, the Joint Facilities Advisory Commission (JFAC ) was created in 2016 to help guide future uses for the Buck property near Washington-Lee High School and Virginia Hospital Center site on and Carlin Springs Rd. (https://commissions.arlingtonva.us/jfac/). While the uses on these two sites may not involve housing in the short run, JFAC has recommended, consistent with the AHMP, that the County explore co-location of affordable housing in future decisions regarding these and other public properties. There are many competing priorities in Arlington when it comes to the use of publicly-owned parcels. The examples described here show that we can be creative when it comes to how scarce public land is used. Housing can often be a complimentary use for public facilities that results in a more efficient use of space and helps a community achieve multiple high-priority public goals at once. Newer PostWill Arlington Open its Doors to Smaller Homes?